In a city known for its ribs, Anthony Petrina is something of an anomaly: a bird man. 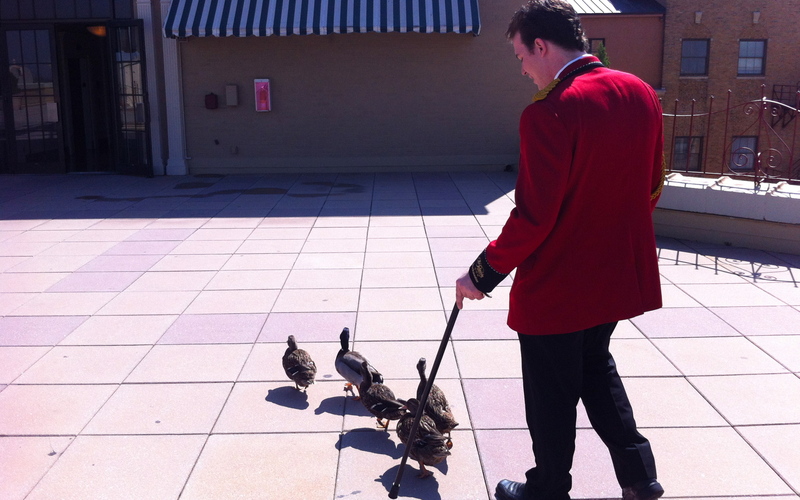 As duckmaster at Memphis’ stately Peabody Hotel, Petrina is responsible for the Peabody ducks, the quintet of waterfowl that parade daily, with great fanfare, from a well-appointed coop to the marble lobby fountain, just as their predecessors have done for the past 80 years. Read the full story HERE.